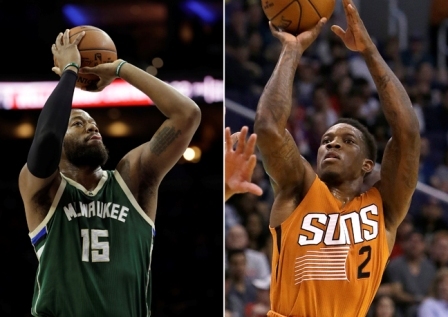 Eric Bledsoe's disgruntled days are over. The 27-year-old Bledsoe had not been with the Suns since Oct. 22, when he posted ``I Don't wanna be here'' on Twitter, the same day the Suns fired coach Earl Watson. He had been averaging 15.7 points per game, second behind Devin Booker, and was the team's on-court leader. ``We're excited. Eric's excited,'' Bucks coach Jason Kidd said in Cleveland. ``He adds a veteran point guard, a guy who plays with pace and can get into the paint, can make the right play,'' Cavs coach Tyronn Lue said. ``He's been on the cusp of being an All-Star the last three years. He brings a different dimension to their team. He can shoot the basketball, get in the paint, run pick-and-roll and he's a good defender also.